On the other hand, if I had both a wide input and a wide focus, I’d be receiving input from everywhere, but would have nothing to filter it through. Everything would be both important and useless at the same time, becoming purposeless background noise. 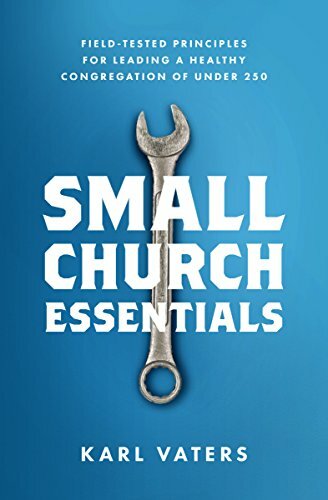 For instance, one of the key subjects in my book, Small Church Essentials is about how big and small churches are different. And one of the ways I explain that, in chapter 4, is by using a sociological phenomenon called the Law of Large Numbers. So I did some research and, as it turns out, the Law of Large Numbers is a real thing. It is a wonderful way of explaining and understanding some simple facts about human nature and behavior that opened up a whole new world of understanding about how big and small churches function differently. We all need to narrow our focus. Know what we’re called to do, then do it with all our heart, soul, mind and strength. Then, using that as our focus and our filter, widen our scope. Don’t just listen to voices we agree with, the ones that sound and look like us. There’s nothing new to discover that way. By definition, you can’t discover anything new if you only keep to well-worn paths. Discovery takes place in the hinterlands, where we don’t feel comfortable and things can get a little scary. But that’s where the fun is. Where the life is. Where creativity is.